Want to know what all he'll do? Go read Slapin's review. I'll be visiting the Kerlan Collection at the University of Minnesota next week. The visit will be all-too-brief, I see, as I go through the extensive list of materials they hold! For example, I was browsing the finding aid for the Richard Scarry materials. Many of his picture books include characters wearing feathered headdresses and fringed buckskin. Those images have been removed/replaced from later editions of the books. I'd love to find letters between people who made the decision(s) to do that! So, I perused the Finding Aid hoping I'd see a file with letters. I didn't, but I did see something else. 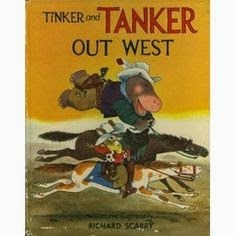 One title in the Finding Aid caught my eye: Tinker and Tanker Out West. I didn't recognize the title. Do you? 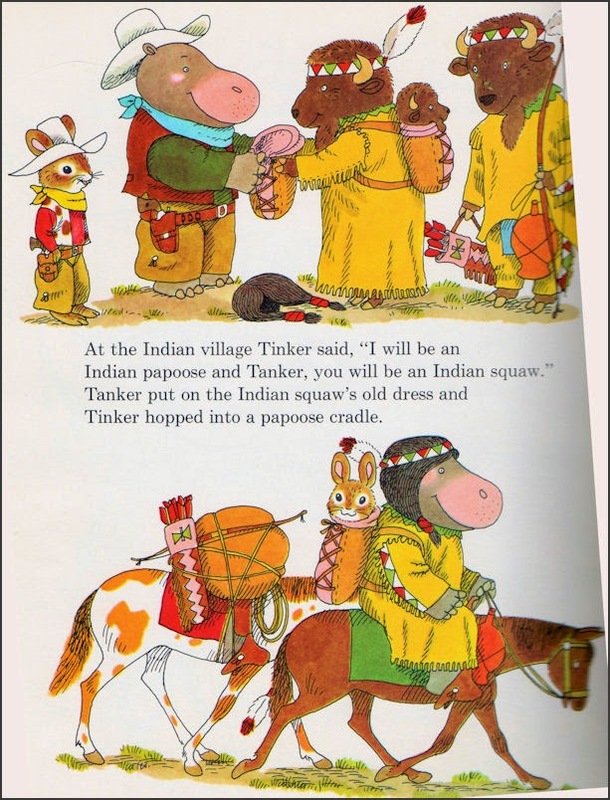 From what that page indicates, Tinker and Tanker arrive at an Indian village where they meet Indians (buffaloes). They're a papoose and a squaw. Are they out west at that point in the story? Why are they dressing up that way? Those two words originate with Native peoples of the northeast (squaw has been so badly used that it is now widely seen as a slur). I can't recall Scarry using them in other books, but seeing them here dovetails with his stereotypical images of Native people. I'm thinking I'll put that image on my Foul Among the Good page. It is one of the few times that I've seen a character dress up as a female. Now--off to see if I can find a copy of the book. It was published in 1961 by Doubleday. According to WorldCat, it is in 139 libraries. Yikes! ...the conversation had to turn to explicating the differences between the books, and we had to stop saying "Indian" and start saying "Spokane" and "Onondaga." In fact, we had to start talking about poverty with a lot more nuance, too. Here on AICL, I talk about the importance of naming a specific nation (and of course, accurately portraying that nation), but the classroom experience Dr. Sanders shared is so powerful that I asked him if I could share it. Obviously, he said yes. Thanks, Joe! Let's bring that idea to the picture book category. We could identify similar pairings that would push students to stop saying Indian. In the picture book category, you could assign/read Cynthia Leitich Smith's Jingle Dancer along with Carol Lindstrom's Girls Dance Boys Fiddle. Instead of saying "Indian" you and students will be saying Creek and Metis. Both feature girls and are set in the present day. Or, you could use picture books set in the past, by assigning Tim Tingle's Saltypie and Virginia Driving Hawk Sneve's The Christmas Coat. Instead of saying "Indian" you'd say Choctaw and Lakota. There are lots of possibilities! I gotta head out for now. I may come back with more pairings. I like this idea a lot. I am always glad when people write to me about problems they see in children's books. In recent weeks I've heard from a few people about Winnie and Waldorf. A picture book written and illustrated by Kati Hites, it was released on March 5th of this year by Harper, an imprint of HarperCollins. School Library Journal's review says that "Families with dogs will see the humor in this mixed-media and digitally illustrated book; cat lovers will be shaking their heads in wonder." Let's add... "People who find kids donning Indian headdresses will also be shaking their heads as they wonder when this sort of thing will end." If that was a real headdress, nobody would do that to it. They carry a great deal of significance. They aren't playthings to handle in that way. That headdress, as Winnie says, is her "most formal attire." In the story, she isn't playing Indian. It wouldn't make it ok if she was, I hasten to say, but there is a backstory for it, right? Hites had a backstory for having that item amongst the items Winnie uses to dress up. What is that backstory?! Of course, Hites has an editor over at HarperCollins. I wonder who that person is? Did they talk about that headdress? I hope someone reads this post and shares it with Hites and her editor. The author, Kati Hites, submitted a comment to this review. As regular readers of AICL know, when an author submits a comment, I generally paste it into the blog post for the convenience of readers. I will respond later. I happened upon your article today; I would like to extend a personal apology for offending your culture- it was never my intention. I am especially saddened to realize the insensitivity (that I had missed while creating the book) as I am very protective of preserving folk customs within my own culture: I still go to traditional dance class every week, Hungarian folk singing, and volunteer in Hungarian Scouts. Growing up as a Hungarian American, my family put a lot of value in dressing up traditionally; 'széki szoknya' literally was my most formal attire. I was the happy owner of a whole wardrobe of traditional garment from a spectrum of cultures- from German to Japanese to, yes, Native American. Perhaps I had no business collecting these things, but I loved it anyway. I even dressed up my American friends in my Transylvanian skirts, and párta (which is the Hungarian headdress worn during weddings and ceremonies). Because very few Americans even know where Hungary is, I felt that it would have been exclusive and confusing to have her wearing a piece of clothing that most wouldn't recognize. I had indeed received a suggestion that she could be dressing up into fancy girly clothes in that scene... but that isn't true to who I am. I never liked wearing pink. I wasn't a sparkles, feather boas kind of gal. That being said, clearly I wouldn't like to further insult by denying my use of ironic humor throughout the entire book. That scene was an unfortunate attempt to further illustrate Winnie's unique perspective on things rather than an attempt to trivialize the significance of the headdress. Just as we could chuckle about her thinking that naughty Waldorf is the best friend a person can have, we could wonder at her unique opinions on other matters. I hope that in the future you give me the opportunity to show the genuine respect I feel for people who care and preserve and live tradition. A tree that has no roots cannot grow. I invite you to contact me about ideas on how to support the preservation of Native American traditions. Thank you for replying to my review. We're in the midst of intense interest in diversity. I wish you had used the Hungarian headdress. Using it and including an author's note about it would have taught readers so much, expanding what they know about a people and culture they (as you note) might not know about. Maybe you can do that in a revision of the book? The default language used right now is "white" or "Caucasian" but within those labels, there is a lot of ethnic diversity, too. David Roediger's Working Toward Whiteness: How America's Immigrants Became White is an excellent study of, as his title says "how America's immigrants became White." For you--or anyone--who wants to support Native peoples, you can talk with others about stereotypes in children's books, and you can read, recommend, and gift books by Native writers to children, young adults, parents, teachers, and donate them to school and classroom libraries. You can do what I suggested David Arnold do: talk with your editor about this review, so that this sort of problem isn't repeated in other books the editor is working on. You've got a blog. It'd be wonderful to see a post there, noting my review and sharing there, what you've shared here. Another place to share is Kurtis Scaletta's series on How to Fail. Again, thank you for commenting on my review of your book. In The Lost Tribes, five friends could never imagine their ordinary parents are scientists on a secret mission. When their parents go missing, they are forced into unfathomable circumstances and learn of a history that's best left unknown. Now they must race against time in the search for tribal artifacts that are thousands of years old. Artifacts that hold the fate of the universe in the balance. But unbeknownst to them, they are catalysts in an ancient score that must be settled. The Lost Tribes is a challenge from beginning to end. As the chaos unfolds so do opportunities to solve codes and figure out where the characters will end up next (and the illustration and design give the reader a visual unfolding as well). Written by a former engineer, this book provides a sturdy and accurate science and history foundation, where readers will surely become participants in the facts, fun, and adventure. Among those five friends and their parents is Serise Hightower and her parents, Dr. David Hightower and Dr. Cheryl Hightower. The kids (Serise, Carlos, Grace, and Ben and his little sister, April) all live in the same cul-de-sac in California. Until later in the book when we learn that all these characters are "scientific observers from another galaxy" we think of Serise as being Navajo. We first learn about her on page 52 (reading the ARC, so page numbers may differ in final copy) when two characters, Ben and Grace, are trying to break a coded message in a game that Ben's uncle has given to him. Serise, Grace tells Ben, is good at breaking codes. Ben doesn't like Serise. He thinks of her as the "self-titled Queen of the Universe" (p. 60) who can barely move in her tight jeans and wedge-heeled shoes. 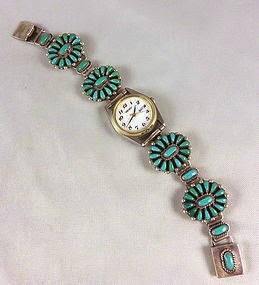 When she appears in the story, she's showing off a watch that her mom got in New Mexico. It has turquoise in it. That Serise paints matching flowers on her nails tells me the watch is something similar to what I show to the right. More obnoxious to Ben, however, are the "maroon and purple highlights and feathers in her jet black hair" (p. 60). Another character, Carlos, doesn't like Serise either. He praises the watch but smirks at Ben as he does it. Serise's mom is the Curator of the Sunnyslope Museum of Natural History. She travels a lot. The expensive gifts she brings back to Serise mean that she is spoiled. A domed structure sat in the corner. Covered with blankets, canvas tarps and leather, it looked like a cross between a hut and a tent. A single opening was visible on the west side. It, she tells them, is a "new sweat lodge" built by her dad. He is "getting ready for a vision quest." His hobby is mystic religions and he's "always trying to conjure up the spirit of an ancient ancestor." In this vision quest, he'll "cleanse himself of toxic impurities and restore his soul" (p. 61). He's been meditating and fasting and wants to do a ceremony on Sunday to get guidance for a journey he's going to go on. Ben asks if he always does these ceremonies before a trip, and Serise tells him this one is different. After "the big storm" that happened when the book begins, her dad is going to "ask the Tribal Council for permission to conduct an Enemyway ceremony" (p. 61). From inside, the kids can hear her dad chanting. Grace thinks the whole thing sounds cool till Serise tells her "You have to be naked." Serise goes to the sweat lodge and shows them a walkie talkie she has put there with the intent of playing a joke on her dad while he does the ceremony. While she's doing that, Grace, Ben, and Carlos whisper to each other about how awful it is to be around her. That evening, Ben's dad tells him that they're invited to the sweat lodge on Sunday. Of course, Ben is unhappy about it. When he gets there, he sees Dr. Hightower and Grace's dad, Dr. Choedon, standing by "an intricate painting at the entrance to the lodge." Dr. Choedon calls it a mandala that is part of the ritual. Inside, Dr. Hightower tells them that if they're sick, they shouldn't participate, because being in a sweat lodge "is a grueling test of endurance." He starts to chant and pour water over huge "red-hot boulders" that Dr. Hightower tells them were heated outside the lodge and brought inside with "a little ingenuity" that he doesn't describe. Thus far, Taylor-Butler (the author) has not named a specific tribal nation. The "Enemyway ceremony" and the language that Serise's dad uses, however, indicate that we are meant to think they are Navajo. But because they aren't really Navajo (remember, they're not of Earth at all), I'm not sure what to do with this. Where did these observers from another galaxy get the information they needed to behave in what they think of as Navajo? What they do is troubling and misrepresentative. Generally speaking, Navajo ceremonies take place in hogans, not sweat lodges, and sandpaintings are done inside of hogans. Healers don't need to seek permission from a tribal council to do ceremonies. Fasting isn't part of the preparation. Though the ceremony in The Lost Tribes is called an "Enemyway" ceremony (usually written as Enemy Way), the language that Hightower uses is that of the Beauty Way ceremony. The description of the sweat lodge in The Lost Tribes is more like the sweats done by other Native nations. With this vision quest/sweat lodge/Enemyway ceremony, the author has collapsed the ways of several distinct Native Nations and Tibetan Monks into... the ways of who?! "We call this place Safe Harbor because that is what it represented to our ancestors--a sanctuary from the impending collapse of a star near our galaxy. "Our ancestors wanted to preserve something of their cultures. Earth was the nearest planet capable of sustaining the many species found in our solar system, making it perfect for colonization. They placed eight tribes on a land mass similar to the environment on their home planet. In time, the tribes blended with the indigenous populations and became part of their genetic pool." For some unknown reason, they didn't survive and there's no records as to what happened. The kids parents are supposed to investigate what went wrong, but they've done other things, too--like having children. Medie (Ben's mom, who is a chemist) created a way for the kids to behave like human children. For Ben, it was a drink. Parents of the other kids gave it to them, too, in other forms. For Carlos, it was a green tamale. For Grace, it was sushi rolls. For Serise, it was smoothies and mud masks she used at night. Because Earth's core is unstable, a decision is made to evacuate. Plans are being made to leave, but those plans are interrupted by the arrival of a transport ship, accompanied by military escorts. "Fierce-looking warriors" in heavy body armor arrive. They are the Royal Guard of Casmir, which is Carlos's tribe. They carry spears, and show no mercy when provoked. Their leader has a "macho swagger" (p. 307-308). Another group of warriors materializes. These wear no armor and carry no weapons. They are Serise's tribe, the "Hayookaal." Their long black hair "blew in an invisible breeze" -- which signals their ability to control weather and climate on Earth (p. 308). They are very muscular. Hmmm... the Latino and Native characters are from tribes known as exceptional warriors, even in another galaxy. Grace's tribe arrives next. They look a lot like Serise's. They're "one of the oldest tribes in the known universe" and are the best linguists in this alliance. They've got a power, too, but do not speak of it publicly. Three other tribes materialize. As Ben wonders when his tribe will materialize, an explosion takes place, but it is the means by which his tribe arrives. They're the Xenobian Warrior caste, an "elite squad" who are "brilliant strategists." As is clear, the kids in The Lost Tribes are from various tribes, which means the book qualifies as a "diverse" one. For me, however, the diversity must ring true. The Native characters and their attributes are a mish-mash of several nations, and they're stereotypical, too. The use and misrepresentation of ceremonies that are sacred to the Navajo Nation is especially troubling. Also troubling is that the Kirkus review says there is a "lack of stereotyping" in the book. These problems could be attributed to stereotypical material that the inhabitants from the other planets read---we all know there's plenty of that right now---but elsewhere in the story, they talk of how superior they are to humans. They've been watching and living amongst humans on earth for thousands of years, so it seems to me they'd know a lot about all the humans on earth and how they were treated by each other. That would include misrepresentations. The problems in The Lost Tribes are such that I cannot recommend it. I draw your attention to the last image in the top row (a tipi) and the first image in the fourth row (an igloo). And... I sigh. 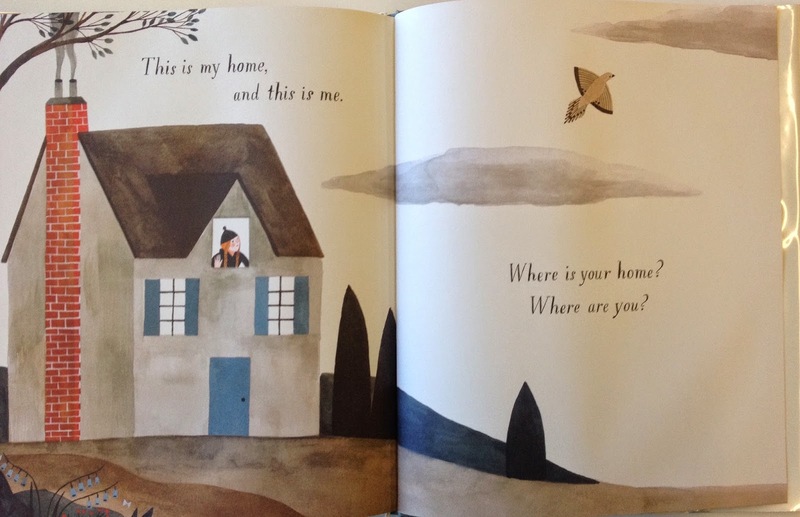 Once you start reading this picture book, you'll come to a page that says "Some homes are boats." But it isn't just a boat. No boat is just a boat, right? They have purpose. On the facing page of the boat are three figures, partially clothed, standing in front of a structure, looking out at that boat as it approaches. The text is "Some homes are wigwams." That tells us that this particular boat is one on which--shall we say, Europeans--are aboard. That boat has been their home for a while, but they're looking to build new homes. On Native lands. On the home lands that belong to those three figures standing by that wigwam. I wonder if those thoughts occurred to Ellis as she did this part of the book? I wonder if Ellis imagined, say, children of tribal nations on the East Coast as readers of her book? While a lot of people are sighing with pleasure as they turn the pages of this book, lots of others are rolling their eyes. I'm among the latter. And all the Native and non-Native people who are writing to me? They're of the latter group, too. Home -- for its point of view -- is not recommended. The question "Where is your home" can be used by politically engaged teachers to have a conversation with children about that page with the boat and the wigwam. If/when you see that happen, please do let me know! Despite its many positive reviews from mainstream review journals and publications, I think the book is problematic. This isn't diversity. This is exotic and stereotypical depictions of 'other.' Though there is some lighthearted whimsy (as in the shoe) and there is much to be appreciated in the art itself, I think it fails. I'm glad that Liz Bicknell hit the pause button on that but wonder why she didn't hit it at other points, too? 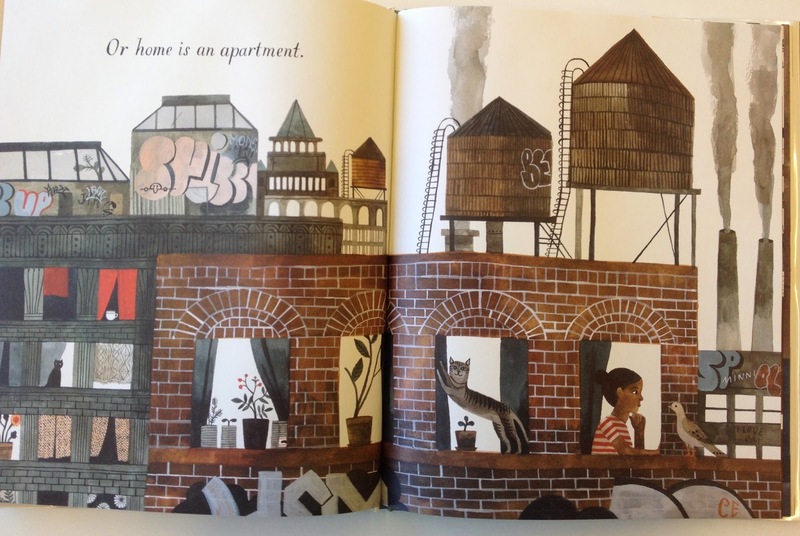 Later in that interview, Daniels asked Ellis about her relationship with Mac Barnett and Jon Klassen, writer/illustrator of Sam and Dave Dig a Hole. Their book is dedicated to Ellis. She says they're close friends and that they gave her feedback on what she was doing in Home. That is troubling, too. They're key people in children's literature and they didn't spot the problems with stereotyping? See Sam Bloom's review, at Reading While White. I received a request from a person asking if I could write up a comprehensive list of books I read during 2014, with links to the page on which I wrote about the book. This isn't a list of books published in 2014. It is books I read in that year. Some are old, some are new. I'm bleary eyed from working on the list. I think it is complete but I may have missed some thing! Some of you may look at the books on the Not Recommended list and say to yourself "Really?! You set a high bar!" or something like that. Keep in mind that I read within a larger context than just one book. John Green's The Fault in Our Stars, for example, has one passage about Native people. We could argue about its merit (as took place in the comments!) but I read such passages within a societal context that continues to publish books and media that misrepresent Native peoples. It isn't just one book. It is lots of little bits in lots of books. It adds up to a whole lot of misrepresentation. Anderson, Laurie Halse. (2014). The Impossible Knife of Memory. Young adult, published by Viking. Angutinngurniq, Jose. (2012). The Giant Bear: An Inuit Folktale. Picture book, published by Inhabit Media. Boney, Roy. (2014). We Speak in Secret. Comic book, published by Indigenous Narratives Collective. Bruchac, Joseph. (2014). Killer of Enemies. Young adult, published by Tu Books. Charleyboy, Lisa and Mary Leatherdale. (2014). Dreaming in Indian: Contemporary Native American Voices. Young adult, published by Annick Press. Christopher, Danny and Mia Pelletier. (2014). A Children's Guide to Arctic Birds. 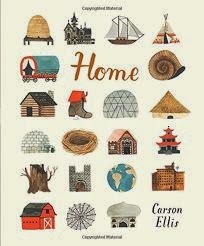 Nonfiction picture book, published by Inhabit Media. Flett, Julie. (2014). We All Count. 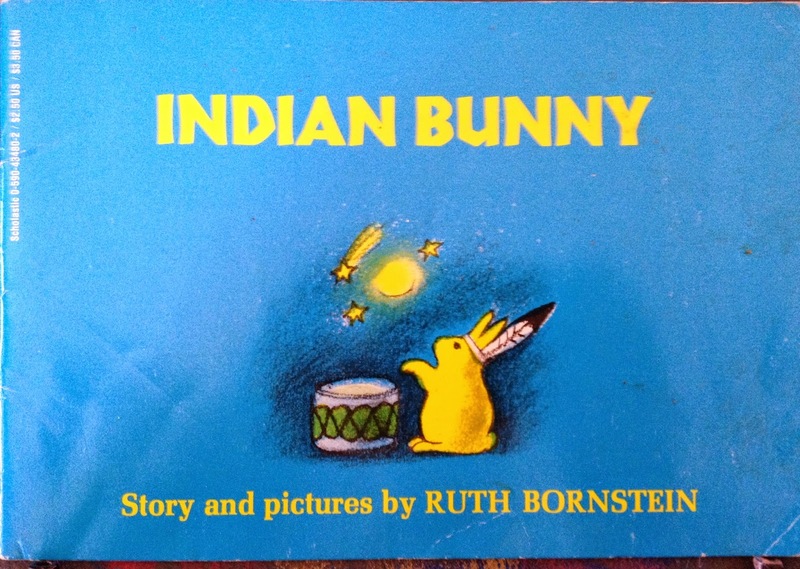 Picture book, published by Native Northwest. Flynn, K.V. (2014). On The Move. Middle grade/Young adult, published by Wynnpix Productions. Gansworth, Eric. (2014). If I Ever Get Out Of Here. Middle grade, published by Arthur A. Levine. Kalluk, Celina. (2014). Sweetest Kulu. Picture book, published by Inhabit Media. Leitich Smith, Cynthia. (2014). Feral Curse. Young adult, published by Candlewick. Lindstrom, Carole and Kimberly McKay. (2013). Girls Dance Boys Fiddle. Picture book, published by Pemmican Press. Minnema, Cheryl. (2014). Hungry Johnny. Picture book, published by Minnesota Historical Society Press. Montileaux, Donald F. (2014). Tasunka: A Lakota Horse Legend. Picture book, published by South Dakota State Historical Society. Robertson, Sebastian. (2014). Rock & Roll Highway: The Robbie Robertson Story. 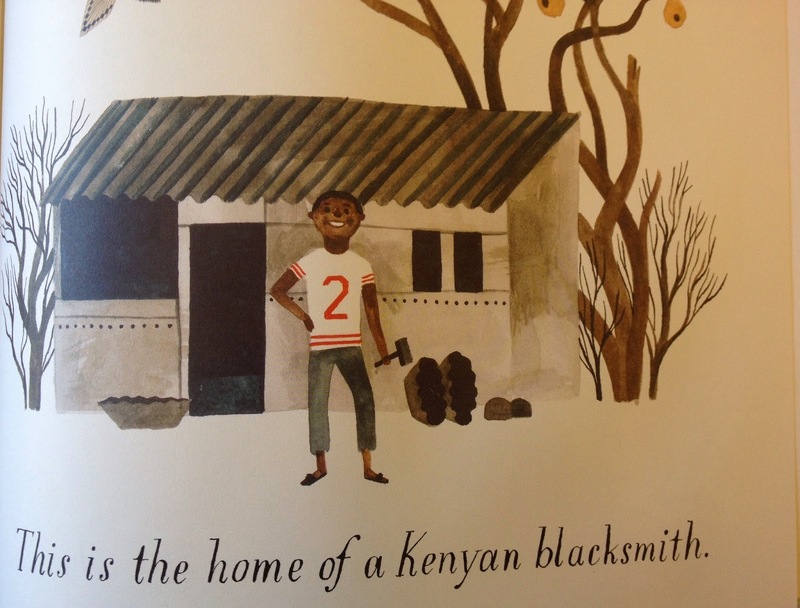 Picture book, published by Henry Holt. Robinson, Gary. (2014). Son Who Returns. Middle grade, published by 7th Generation. Rodgers, Greg. (2014). Chukfi Rabbit's Big Bad Bellyache: A Trickster Tale. Picture book, published by Cinco Punto Press. Shuck, Kim. (2013). Rabbit Stories. Young adult, published by Poetic Matrix Press. Starr, Arigon. (2012). Super Indian. Graphic novel, published by Wacky Productions Unlimited. Starr, Arigon. (2014). Annumpa Luma: Code Talker. Comic book, published by INC Comics. Stroud, Virginia. (1994). Doesn't Fall Off His Horse. 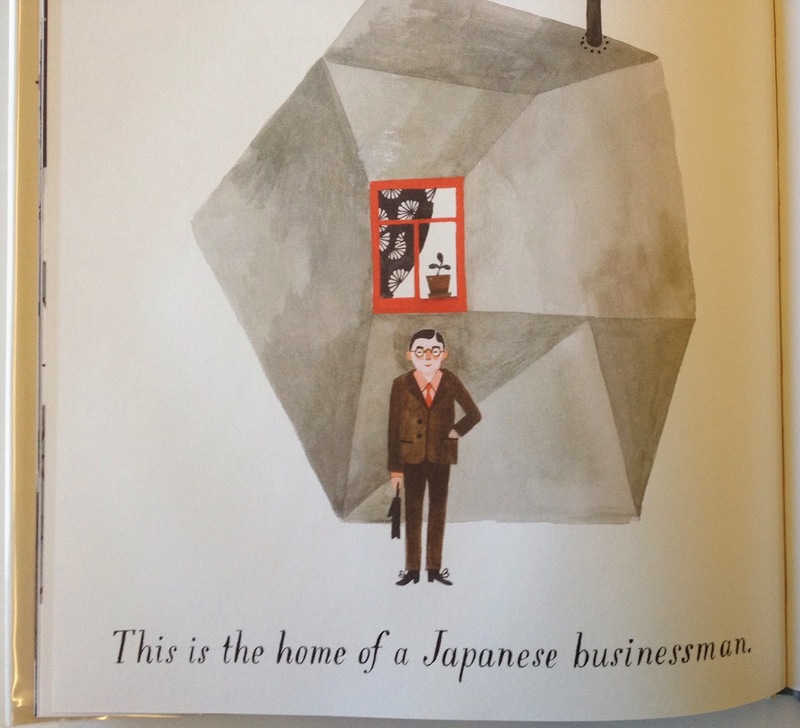 Picture book, published by Dial. Tingle, Tim. (2014). How I Became A Ghost. Middle grade, published by Roadrunner Press. Tingle, Tim. (2014). House of Purple Cedar. (2014). Young adult, published by Cinco Puntos. Tingle, Tim. (2014). No Name. (2014). Middle/young adult, published by 7th Generation. Treuer, Anton. (2012). Everything You Wanted to Know about Indians but Were Afraid to Ask. Nonfiction, published by Minnesota Historical Society Press. Wurth, Erika. (2014). Crazy Horse's Girlfriend. Young adult, published by Curbside Splendor. Block, Francesca Lia. (2014). Teen Spirit. Young adult, published by HarperCollins. Bouwman, H.M. (2008). The Remarkable and Very True Story of Lucy and Snowcap. Middle/young adult, published by Marshall Cavendish. Bow, Erin. (2013) Sorrow's Knot. Young adult, published by Arthur A. Levine Books. Carter, Forrest. (1987) The Education of Little Tree. Young adult, published by University of New Mexico Press. Colfer, Eoin. (2013) The Reluctant Assassin. Young adult, published by Disney Hyperion. Fichera, Liz. (2013) Hooked. Young adult, published by Harlequin Teen. Fitzgerald, Michael. (2013). Children of the Tipi: Life in the Buffalo Days. Nonfiction picture book, published by Wisdom Tales Press. Floca, Brian. (2013) Locomotive. Picture book, published by Atheneum. Forman, Gayle. (2009) If I Stay. Young adult, published by Dutton Books. Handford, Martin. (1987) Where's Waldo. Picture book, published by Little, Brown. Gibson, Julia Mary. (2014) Copper Magic. Young adult, published by Starscape/Macmillan. Goble, Paul. (1978). The Girl Who Loved Wild Horses. Picture book, published by Bradbury Press. Green, John. (2012) The Fault in Our Stars. Young adult, published by Dutton Books. Hawke, Jay Jordan. (2014). Pukawiss: The Outcast. Young adult, published by Harmony Ink Press. Healey, Karen. (2011). Guardian of the Dead. Young adult, published by Little, Brown Books for Young Readers. Heller, Rebecca. (2013) Falling Rock. Picture book, published by Amazon Digital Services. Kalman, Maira. (2014) Thomas Jefferson: Life, Liberty, and the Pursuit of Everything. Picture book, published by Penguin Books. Kann, Victoria. (2014). Pinkalicious: Thanksgiving Helper. Picture book, published by HarperFestival. Karas, G. Brian. (2014) As An Oak Tree Grows. Picture book, published by Penguin. King, A. S. (2010) Please Ignore Vera Dietz. Young adult, published by Alfred A. Knopf. Kirkpatrick, Katherine. (2014) Between Two Worlds. Young adult, published by Wendy Lamb Books. Krensky, Stephen. (1991) Christopher Columbus. Early reader, published by Random House. Lake, Nick. (2015) There Will Be Lies. Young adult, published by Bloomsbury USA. Limbaugh, Rush. (2013) Rush Revere and the Brave Pilgrims. Elementary/junior high, published by Threshold Editions. Nordgren, Carl. (2014) Anung's Journey: An Ancient Ojibway Legend as told by Steve Fobister. Middle/young adult, published by Light Messages Publishing. Osborne, Mary Pope. (2002). Thanksgiving on Thursday. Early reader, published by Random House. Parry, Rosanne. (2014). Written in Stone. Middle grade, published by Random House. Paulsen, Gary. (1969) Mr. Tucket. Middle grade, published by Funk & Wagnalls. Prelutsky, Jack. (2008) It's Thanksgiving. Early reader, published by Harpercollins. Sappenfield, Heather. (2015) The View From Who I Was. Young adult, published by Flux. Shusterman, Neal and Michelle Knowles. (2012) Unstrung: An Unwind Story. Young adult, published by Simon and Schuster. Shusterman, Neal. UnWholly. (2012) Young adult, published by Simon and Schuster. Shusterman, Neal. UnSouled. (2014) Young adult, published by Simon and Schuster. Sis, Peter. (1991) Follow the Dream: The Story of Christopher Columbus. 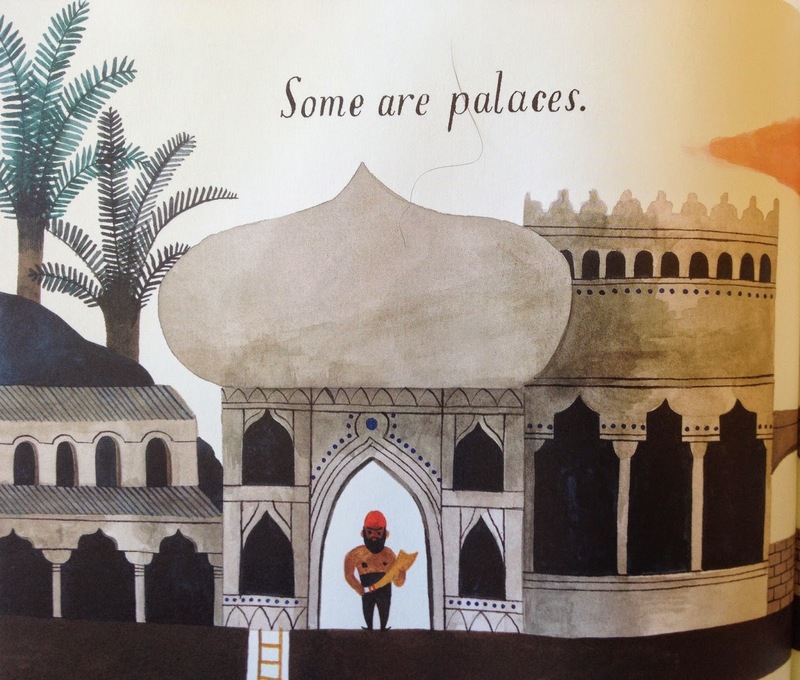 Picture book, published by Knopf. White, E.B. (1973) Stuart Little. Middle grade, published by Harper Row.